The sculpture shown here is the original marble sculpture. 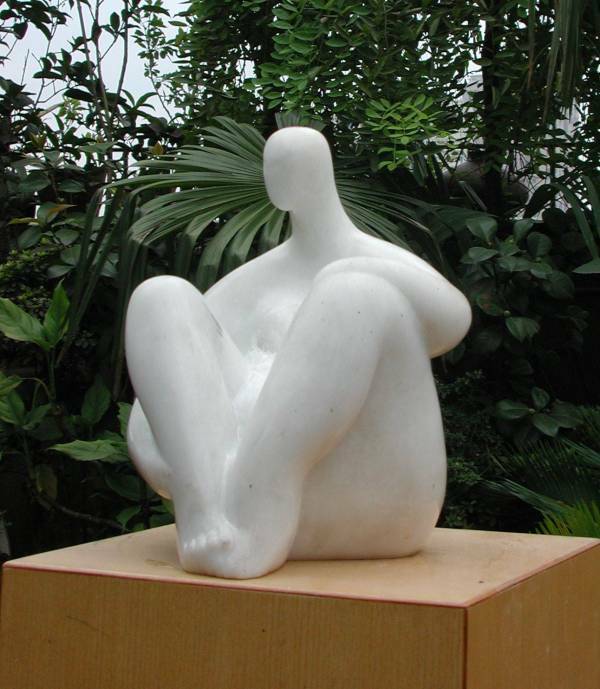 A stylized, almost abstract take on the classic seated woman, it is also a powerful fertility symbol as the figure curves with a heavily pregnant belly. You may purchase it as an original marble artwork - a great fertility sculpture statement. It can also be commissioned in any size and material for a private garden or public space.